With calendars, your impression is made every single day of the year. 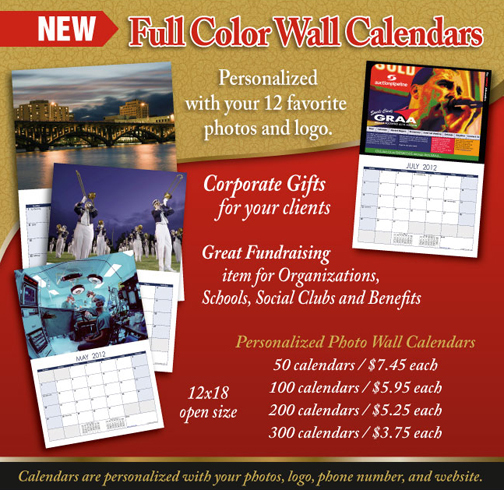 Make it a good one, with professional, striking calendars. 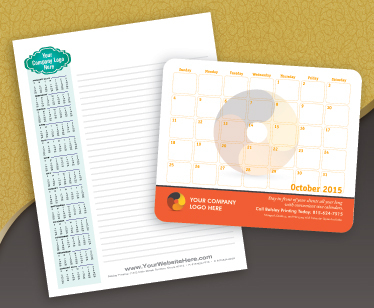 Have you considered personalized company calendars? They are great way to stay in front of your clients all year around! We have two very popular formats your clients will use throughout the year. Our Mouse Pad Calendar doubles as a mousepad and a great appointment or event reminder resource. The Tablet Calendar provides the entire year's calendar on every page and 30 lines for writing. Both formats are customized with your logo, website, address, and phone. Give us a call now and we'll make sure you have new calendars well before the end of the year.